Machas Artist Kelly Anna: E by Equinox from MACHAS on Vimeo. 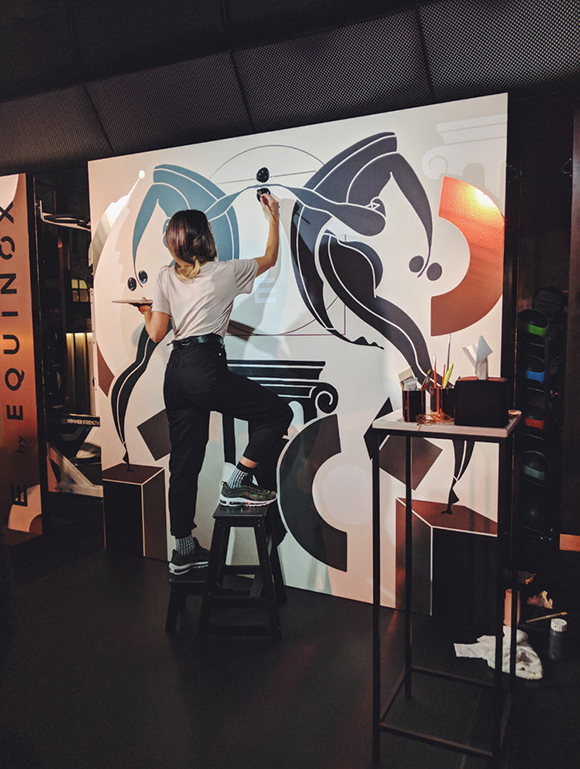 Earlier this year, high-end health club chain Equinox hosted an epic launch party to celebrate the opening of their latest club in London, the E St. James’s. For this special occasion, the amazing Kelly Anna was invited to perform a live art piece, painting her bold, sinuous and empowering figures in front of a marvelled crowd of VIP and influencers which included Lara Stone, Arizona Muse, Eric Underwood, Laura Bailey, Yasmin Le Bon and Amber Le Bon. To complement the live painting, Kelly Anna created two dynamic art installations, directly inspired by the gym’s identity and origins. The first installation, a set of four floating orbs defying gravity and gently dancing in the air, was set-up in the yoga studio, which was transformed into a gallery space for the evening. 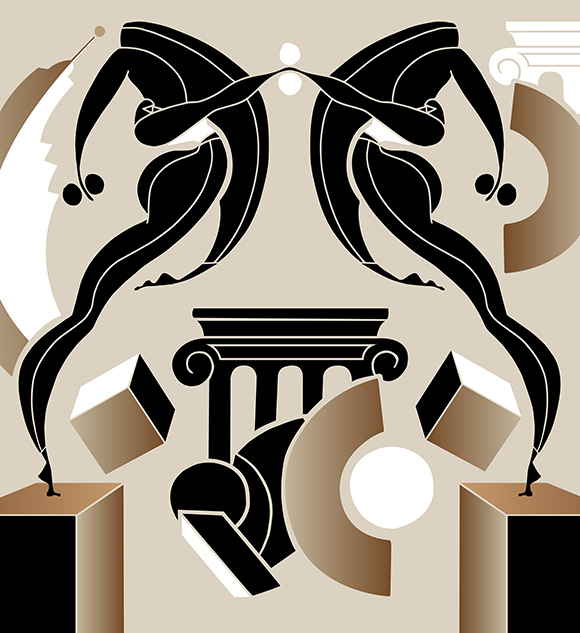 The second installation, a rose gold totem, was designed to match the luxurious marble-clad interiors of the former bank. Mixing vinyl and paint, Kelly’s abstract shapes elegantly complemented St. James’ smooth pillar architecture with Equinox’s symmetrical aesthetic. We also coordinated a dance performance, inviting two contemporary dancers from the prestigious British dance company Rambert. The duo choreographed a unique performance, using the movement in Kelly’s artwork as the starting point to create their piece. See more of Kelly’s work here.